Sunfish colors for 2018 will be posted soon. Contact us to get the choice to you. LaserPerformance has announced the available color combinations for the Sunfish for 2016. 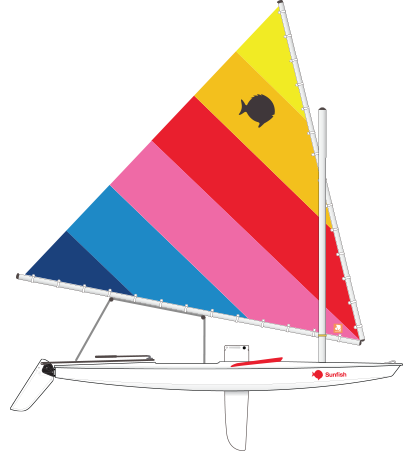 Two fantastic new sails now are added to the line of Sunfish colors. 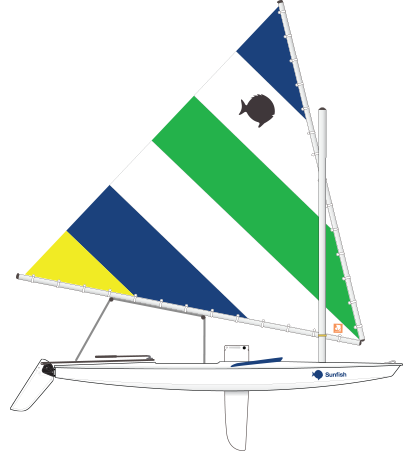 Sunfish buyers now have six great recreational sails to choose from in addition to the all-white racing sail. 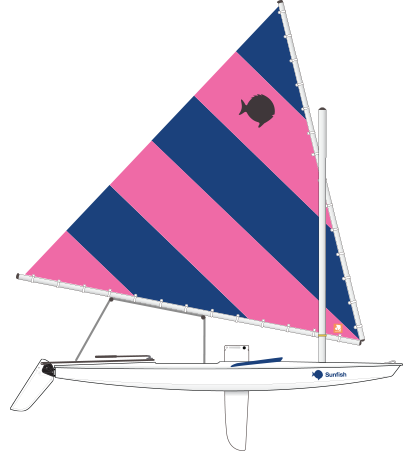 Sunfish colors for your hull now total two options. 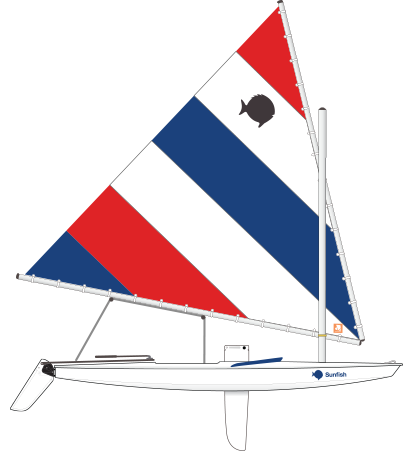 Sunfish buyers can choose from a red stripe or blue stripe boat. The red and blue stripe boats were by far the biggest sellers for us. Gone, but not forgotten, are the less popular yellow and green stripe boats. 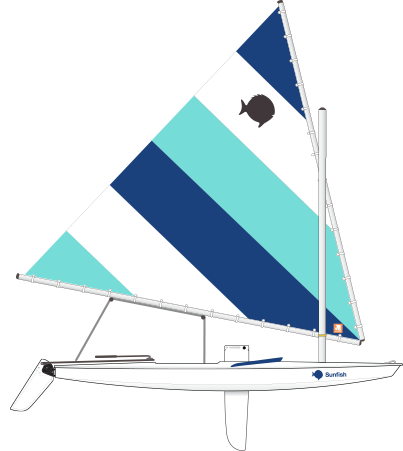 While certain sails go better with certain boats, buyers are free to match any sail with either boat. Any questions? 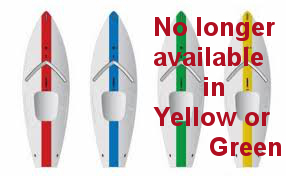 Contact us using the contact form below for Sunfish colors and availability or any other questions. Classic Red and White – NEW for 2016! Blue Lagoon – NEW for 2016! Perhaps a nod to a movie released in July of 1980?